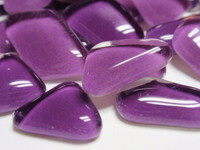 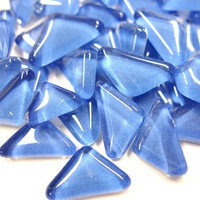 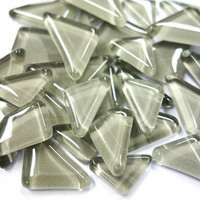 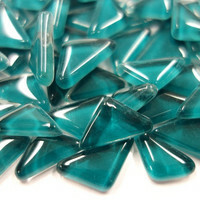 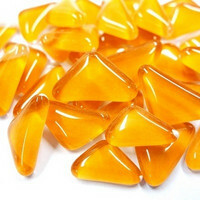 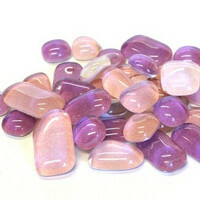 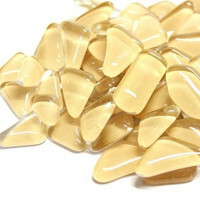 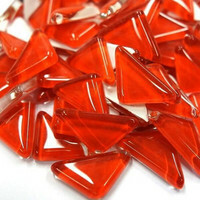 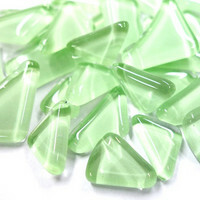 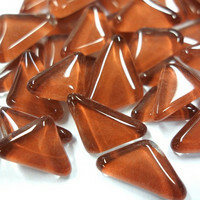 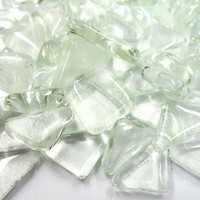 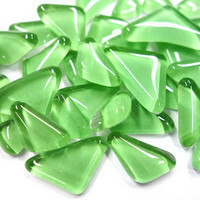 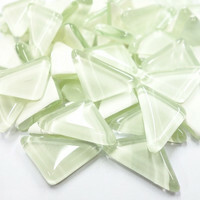 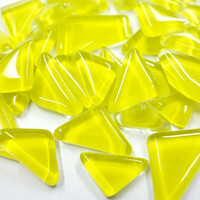 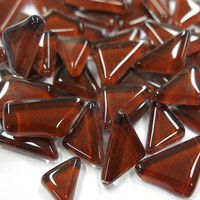 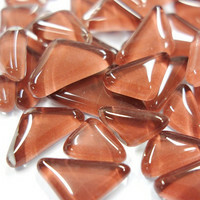 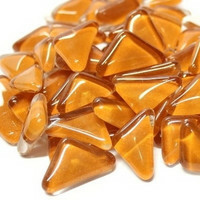 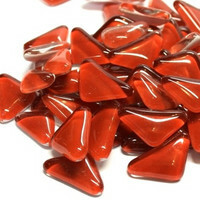 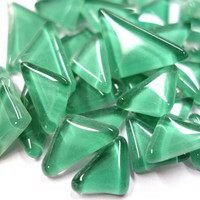 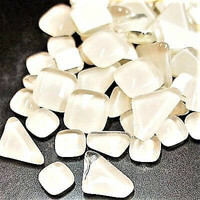 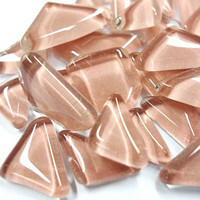 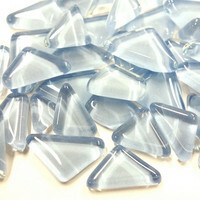 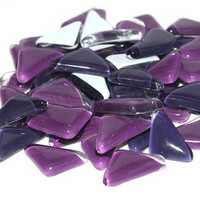 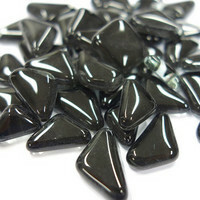 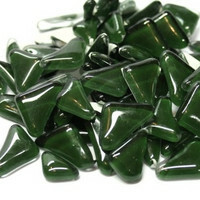 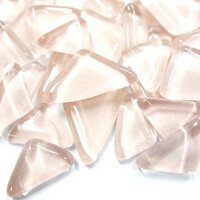 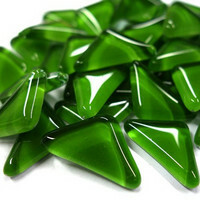 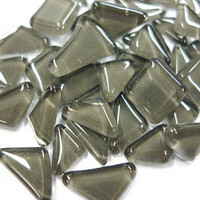 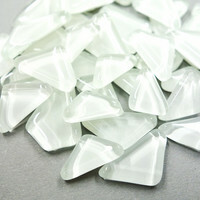 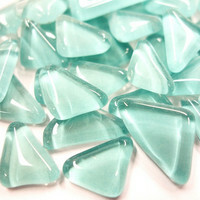 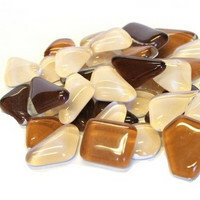 Soft Glass mosaic pieces are irregularly shaped with rounded edges. 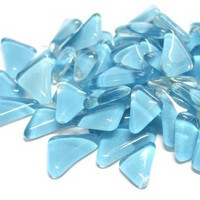 The colour comes from the paint on the bottom of the piece, so this product is not translucent, except for "Soft Glass Clear". 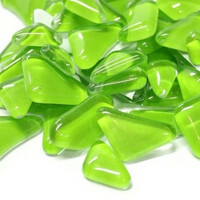 This product is ideal for working with children. 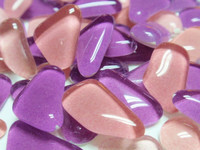 Pack sizes: 200 g and 500 g.